There is a lot of Doctor Who going around these days. My teenage self—the closeted geek who stayed up late on Fridays and Saturdays to catch episodes on my local public TV channel—would be very happy to see the show’s resurgent global popularity. I even found an advertisement that used his image on the streets of Beijing a few months back. I mean literally, there are tons of Doctor Who stuff to buy. There are lots of Doctor Who objects in circulation. The Doctor today is merchandised to an extent unimaginable a few decades ago. Similar to other shows, comics and movies, Doctor Who has become packaged as a total way of life for fan-tribes of consumers. I am Mickey. I am Iron Man. I am Doctor Who. I am a Mickey. I am an Iron Man. I am a Doctor Who. Of course, I know that by using this word I risk evoking all kinds of associations with the classical, colonial, and even racist legacy of early social and cultural anthropology—the anthropology of “savages” and rituals and magic. But, in all seriousness the concept of a totem seems to nicely capture the relationship of people to one another though the purchase and collection of these consumer objects. 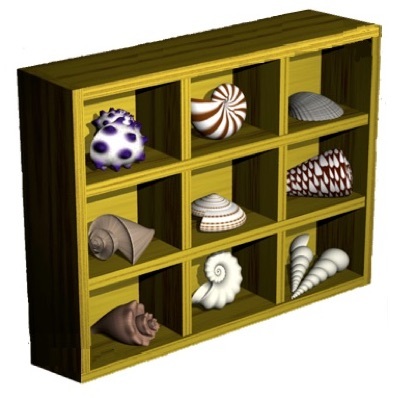 Furthermore, these objects, presumably express something meaningful—something of value—about their owners. Tell me that doesn’t sound like a perfectly workable starting place for thinking about an anime convention! In a consumer world currently built on the fundamental concept of the brand, I can’t get totems out of my head. Is it possible that anthropologists abandoned a useful concept in the 1980’s just as consumer capitalism went global? A blog post isn’t the place to answer this question, but I can imagine a really cool graduate seminar that might explore it. If “a Doctor Who” has a totem it is arguably the TARDIS—the Doctor’s time-space vehicle frozen in the shape of a blue, mid-20th century, British police box. Marketing comes with branding and branding needs a tagline and the TARDIS even figures prominently in this regard. “Its bigger on the inside”—a comment often made when new companions first step into what, from external appearances seems to be a small police box, but turns out to be the vast innards of a trans-dimensional time machine. The TARDIS has always been “bigger on the inside”—a fanciful idea that captures the imaginary quality of Doctor Who and, no doubt, was a wonderful way to deal with the financial constraints of early BBC television production. Of course, “its bigger on the inside” would be an ideal tagline for totems, if one were going to market them. Totems, after all, contain the meanings and values—”The Spirits,” in Evans-Pritchard’s words—of the lineage of people who remember the stories that give them value. What appears to be “just” a police box must be so much more. A few months ago I thought about the TARDIS-as-totem while visiting the local Barnes and Noble store. In the age of digital, as print books retreat from the floorspace of our remaining bookstores, toys and tchotchkes are taking up the slack. At Barnes and Noble that day, while walking through the shelves of toys and games I spotted the familiar shape of the TARDIS, and stopped to take a look. 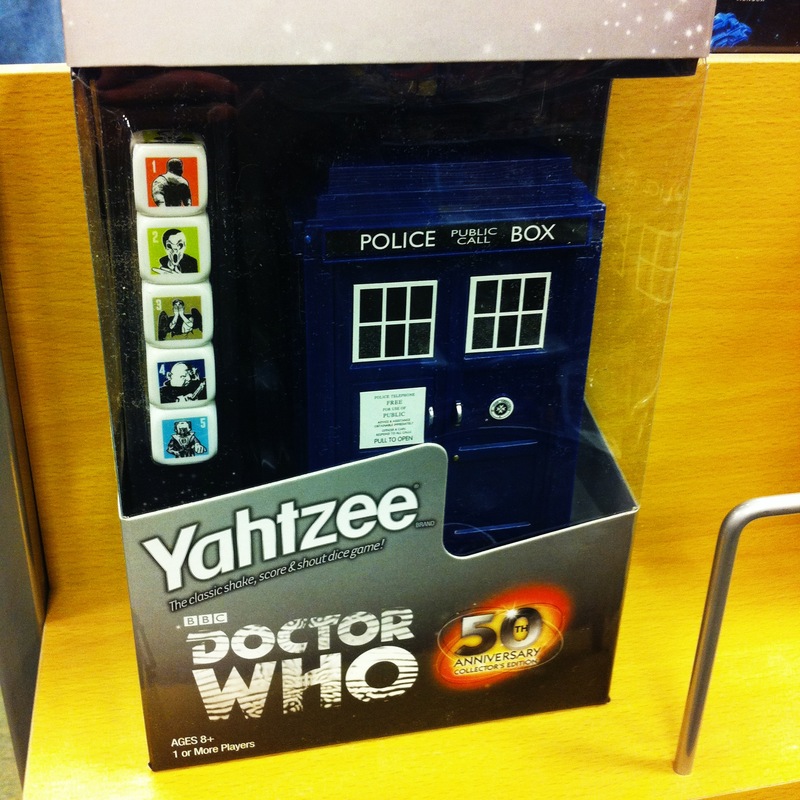 What I saw, however, was not a toy TARDIS, but a game of Yahtzee in the shape of a TARDIS. Yahtzee. In. the. shape. of. a. TARDIS. Literally, the totemic Spirit of the TARDIS—its complex and multiple meanings and values, as practiced and remembered by the now two generation-old lineage of Whovians, was being magically invested into the all-but-dead body of a game that is nearly sixty years old and barely remembered. OK, so I didn’t write that last sentence without a bit of a snicker—but only because I think that wording gets close to capturing the magical qualities of what is going on here. This is commodity-magic. And, if Hasbro can invoke the spirit of the TARDIS to bring Yahtzee back from the past in a new form, then I can be excused for bringing back a bit of Evans-Pritchard to think about consumer merchandising. After all Yahtzee was invented the same year that Evans-Pritchard was writing about Nuer religion. Of course, I can’t get away with mentioning “commodity-magic” without at least a passing reference to Karl Marx and it isn’t enough to simply talk about the TARDIS Yahtzee at the level of a totemic game for sale in Barnes an Noble. Writing about the relationship between objects and the social relationships they mediate, Karl Marx, emphasized the ways that objects take on meanings that hide the relations of production. Things become fetishies—objects that are taken to mean onto themselves and are held to mean by their owners outside the relations of production. We think the world is about objects, because that is all we see. The labor and the conditions under which things are made are not visible to us—they are not part of the package. This, of course, is another kind of magic—things “get made” and “appear on store shelves” to be purchased. Above, I mentioned that I thought of “totems” when I considered Whovians and the miracle of transubstantiation that is “TARDIS-Yahtzee.” That is only part of the story. They are also fetishized commodities. When the old run of Doctor Who ended in the last decade of the 20th century the world had not yet entered the age of Chinese manufacturing. When I was a teenager watching the show we didn’t have an entire universe of Doctor Who merchandise because the foundations of the “workshop of the world” were only just being laid. It was only decades later when the show rebooted in 2005 that designers of Europe and America had, at their disposal, a fully functioning global manufacturing and sourcing operation. At their slightest whim, they are able to zap designs at the speed of light to the other side of the world where they are cheaply manufactured by low-wage, mostly-young, precariously-living, union-less laborers. Global manufacturing—with China at the core—has powered this “themeing” of niches of consumption. 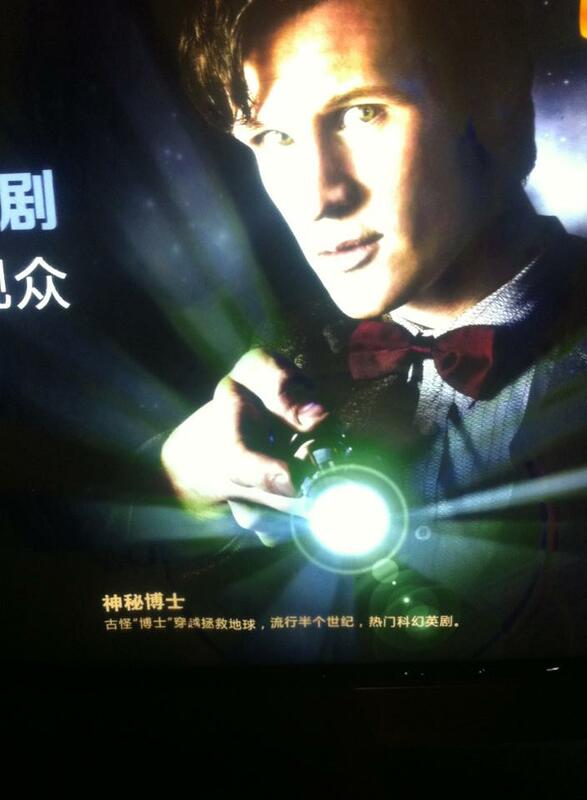 Ultimately, it’s not much of an exaggeration to say, there is “a lot of Doctor Who going around these days” because of China.